I thought I’d put together something of a reading list, based on some titles I’ve recently read or intend to read in the coming weeks. In all cases here I know the author and either know or believe they will be great reads and perfect Christmas gifts!! If you’re a little last minute with your Christmas gift buying like I am, this may come just at the right time! The Man Who Climbs Trees by James Aldred. I haven’t met James yet, but we plan to meet-up soon as we have some connected interests. I have a feeling we’ll get on very well, but, having read James’s book I think he’s the kind of person that will get on well with everyone! James has had and is having an extraordinary life. He’s one of if not the leading experts in tree canopy access and filming wildlife high in the branches of trees all around the world. This book takes us on his life’s journey from the first significant tree climbed in the New forest with friends as a youngster, to the giant trees of Borneo, Papua new Guinea and the Amazon where his arboreal adventures bring him eye to eye with Orangutans, birds and all sorts of creatures and plants that we back home only dream of. James has been a linchpin to some of the unbelievable footage we see in the documentaries on our screens. The book has had me laughing out loud, gasping in pain and wonder and wishing very much I could carry his bag for him one of these days! I actually spent a night in a hammock, high in a local Oak tree this summer after being inspired by some of James’s lofty camp sites. Well worth a read! I’ve always loved wildlife and birds have a special place in my heart. So when attending the Harper Collins Summer party (Yes, very fancy!) I was shocked and delighted to meet The Tower of London’s very own Ravenmaster! It was a chance introduction, and I was utterly gobsmacked. Chris and his wife were fascinating lovely people. I enjoyed meeting and chatting to them very much indeed. This incredibly unique and fascinating life they have found themselves in, living within the Tower of London is steeped in British History, legend, intrigue and importance. Chris’s book delves into the life he leads, the birds he looks after, the history of the role of Ravenmaster, all it entails and everything else about castle life. It’s funny, interesting, informative, easy to read, engaging and if your’e interested in History, England, The Tower of London and the life of a brilliant individual, this is a must read! I loved it from the first page to the last, and will be visiting Chris in the Tower with my family soon…if he lets us in. Who doesn’t like a slow cooked feast. I guess we often overlook slow cooking in our modern lives where speed is everything and sometime food is function to get us through the day. But we all know that food is more than just fuel, it’s the bringer of people together the initiator of conversation, of laughter, of debate. Sitting together over a delicious meal is something we all know the joys of and Dean has packed his book with ideas of how to do this time and time again. It would seem that slow cooking doesn’t in fact have to be difficult and complicated, actually, sometimes the preparation is quicker than for a quick week night meal! I love the style and the ease of the recipes, I’ve tried a few to receive rave reviews from the family! The BBQ pulled Pork followed by Raspberry and white chocolate bread and butter pudding was devoured by the family in record time and I received high fives all round for my efforts. Honestly, it couldn’t have been easier. Get Dean’s book for yourself or your loved ones. P.S. Dean is a proper good guy, we’ve been friends for a while now having met years ago and his enthusiasm for what he does is infectious! 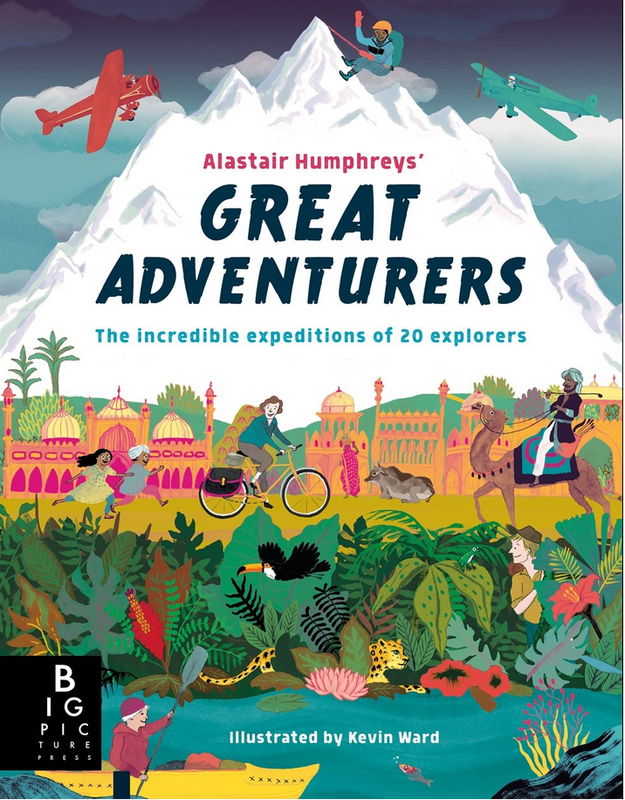 A compilation of incredible journeys undertaken by twenty of the word’s greatest explorers that ever lived, this book is just brilliant. It’s fun, entertaining, interesting, engaging and perfect for pouring over with young people who are interested and intrigued by the big word out there! We pick it up and leaf through learning about the amazing people form the past and present who boldly stepped out to explore and discover. Al Humphreys is brilliant human and the creator of the Microadventure. He’s done an extraordinary job at showing people how doable short, local adventures are for anyone and everyone! Having been around the world on a bike, across oceans in a boat, across countries on foot and played a violin for money through Spain, Al is someone who knows his stuff! This is not Al’s first book, he’s written loads, all worth reading but this is a favorite! ‘Foxy’ is well known as one of the special forces instructors in the TV series SAS Who Dares Wins and more recently the presenter on Meet The Drug Lords: Inside The Real Narcos. He was a member of the SBS for over a decade and Battle Scars is an account about his time serving within the special forces as an elite operator. I find it so interesting and inspiring hearing the tales of those who have experienced a life so starkly different from us civilians. These guys have encountered things that we can never even pretend to understand - much respect! What sets Jason apart is his willingness to open up about the thoughts and emotions he has experienced during his military career and since leaving the special forces. Having met Jason a couple of times it’s impossible not to take an instant liking to this incredible guy, I’m looking forward to getting stuck into this book and learning more about his amazing life with extraordinary highs and lows. Jordan is a great guy and is doing and has done some amazing things in his life. Former soldier, Jordan’s most recent project Running Dangerously took him to Iraq, Somalia and Afghanistan, three of the most dangerous countries in the world where he ran a 5k 10k and full Marathon to raise money particularly for children in these regions and to support their education. 2019 sees Jordan attempt Rowing dangerously, where he’s attempting to row across the most dangerous stretch of water in the world -Bab El Mandeb Straits. I was lucky enough to hear Jordan speak at a Bremont watches event and his story was interesting, moving, emotional and inspirational. 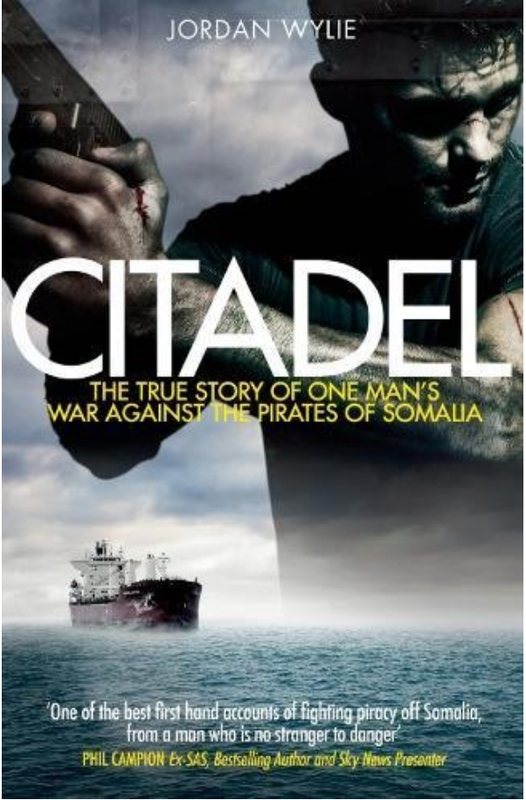 His book Citadel is about his military career after which he moved into a life on board super tankers in Anti Piracy security guarding ships in the most dangerous and difficult waters of the world. No question, this book will be good! Quite simply Pre-order the book. It’s being published in February 2019 and having heard Brian’s story, his military career, the infamous battle of Danny Boy, Brian’s receipt of the Military cross, the PTSD he suffered affecting not only him but all those around him and then the severe blow, news of the false accusations of War crimes, this will be one hell of a page turner. Brian is a brilliant guy with infectious enthusiasm. I’ve enjoyed a chat over a beer with Brian and hope there will be many more in the future! This will be an extraordinary read I have no doubt! Some I’ve read, some I haven’t…nonetheless I’m confident this is a compilation of must read titles! Please leave a comment if you have other good suggestions!